The NEW and awesome Streeter Tee's are here! 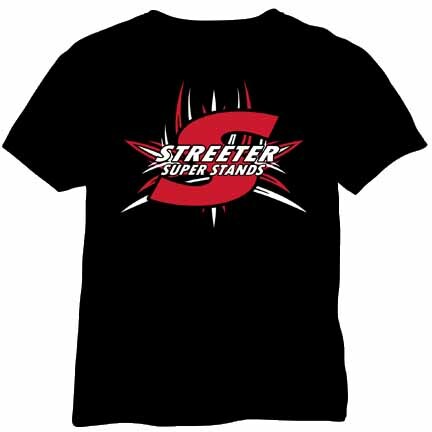 Show your support and get a classic black tee shirt with the stylish Streeter Logo and design imprinted both front and back. These are the same shirts our race crew wears when at the track - so you'll for sure be a winner!